This entry was posted in Uncategorized on June 29, 2010 by Brian Greene. Child! that?? ?s no way to treat your father! One wonders why Dr. De Forest should have been so surprised to encounter this Bedlam on the air. Surely he was familiar with its terrestrial equivalent. At the moment, in fact he was engaged in fighting the Radio Corporation of America in the courts. The vulgarity and commercial irresponsibility of advertising-supported broadcasting have been greatly complained about. Yet there is a sense in which the defenders of the American system of broadcasting are right. Radio is a new instrument of social communication that and nothing more. In and of itself it contributed nothing qualitative to the culture. It was right, perhaps, or at least inevitable that it should communicate precisely the pseudoculture that we had evolved. Can any one deny that it did just that? The culture, or pseudoculture, was acquisitive, emulative, neurotic and disintegrating. 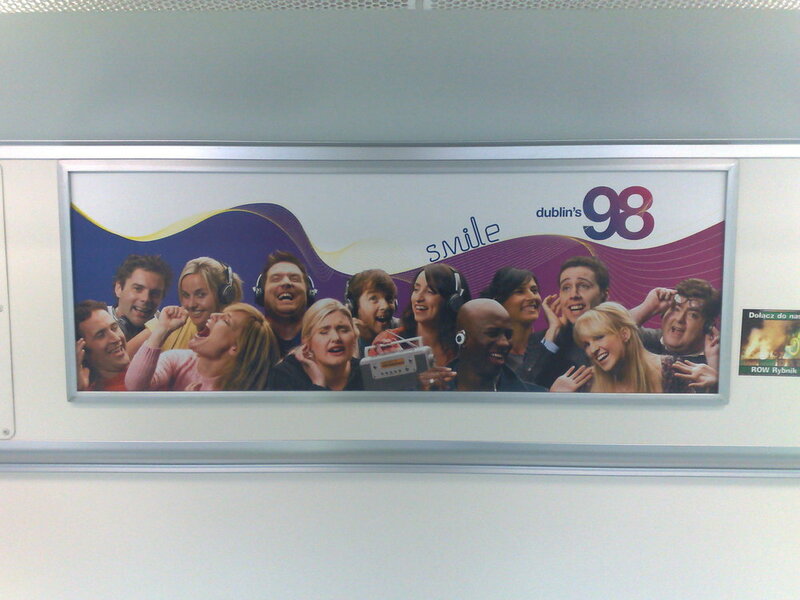 Our radio culture is acquisitive, emulative, neurotic and disintegrating. The ether has become a great mirror in which the social and cultural anomalies of our “ad-man’s civilization” are grotesquely magnified. The confusion of voices out of the air merely echoes our terrestrial confusion. 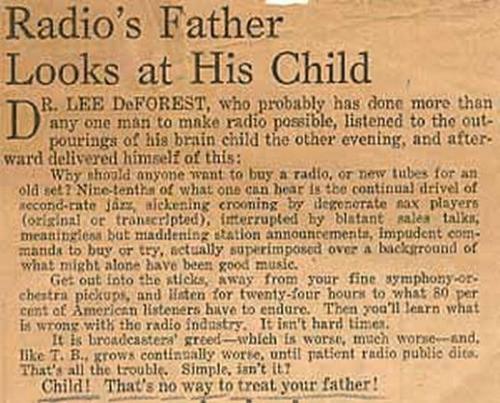 What would de Forrest make of radio today. This entry was posted in Uncategorized on June 11, 2010 by Brian Greene.